Lexi went too far this time. And her brother is about to end it. She almost died with an overdose. However, that was nothing compared to the nightmare that rehab will be. Getting clean was the first step and it was the hardest. The only thing making the experience bearable is the people that are also on rehab at the clinic. Everyone has a different addiction: some’s addiction is related to drugs, other’s are about food but Brady’s she can’t figure out. But she will, whilst finding a new addiction: love. I don’t know why or how but as soon as I got this book from the publisher and saw the cover I knew I was going to love it. And it’s true, I absolutely loved this book! It is a beautiful love story, however in a completely different context than the usual romance story. Brady’s addiction was honestly completely unexpected for me. I’m probably just being naive but I didn’t even know his addiction existed. But then I guess you can be addicted to anything, right? When Lexi gets to the rehab center, Brady is already halfway through his own rehab so they have different opinions on things in the beginning. But at some point, Lexi starts to understand that she would probably be dead by now if her brother hadn’t put her in there. As time goes by, they start all getting closer, especially Lexi and Brady obviously. But his addiction keeps them apart because if he has something with her, he will basically throw out of the window all the work he had to get clean of his own addiction. Have you figured out Brady’s addiction yet? 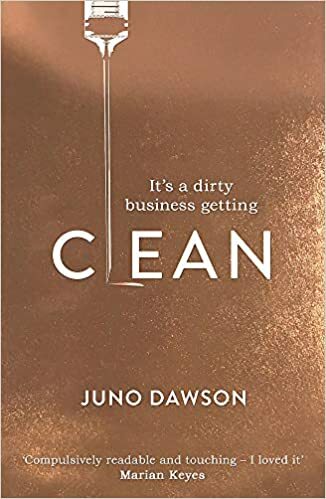 Honestly, this is an amazing book not only about addiction, but also and mainly, about fears, insecurities, and self-discovery. What I loved the most in this book wasn’t even the romance, but Lexi’s journey. How she realizes how toxic her life has been and how her childhood and family had an enormous impact on that without she even realizing it. Highly recommend! Lexi foi longe demais desta vez. E o seu irmão está prestes a acabar com o problema. Ela quase morreu devido a uma overdose. Ainda assim, isso não é nada quando comparado com o pesadelo que a reabilitação vai ser. Ficar limpa é o primeiro passo e o mais difícil também. A única coisa que torna esta experiência tolerável são as pessoas na clínica. Todos têm uma adição diferente: uns estão relacionados com drogas, outros com comida, mas ela não consegue descobrir a adição de Brady. Mas ela vai descobrir, enquanto descobre uma nova adição: o amor. Eu não sei como nem porquê mas assim que eu recebi este livro da editora e vi a capa eu sabia que o ia adorar. E é verdade, eu adorei este livro! É uma bonita história de amor, ainda que num contexto completamente diferente dos habituais romances. A adição de Brady foi completamente inesperada. Provavelmente estou apenas a ser bastante ignorante, mas eu nem sabia que a adição dele existia. Mas também, eu diria que uma pessoa pode ser viciada em qualquer coisa não é? Quando a Lexi chega ao centro de reabilitação, Brady já vai a meio do seu processo e por isso eles têm diferentes opiniões acerca das coisas. Até que a certa altura, Lexi começa a perceber que ela estaria provavelmente morta se o seu irmão não a tivesse posto no centro, concordando com o ponto de vista de Brady. À medida que o tempo passa, todos se começam a aproximar uns dos outros, especialmente Lexi e Brady obviamente. Mas a adição dele obriga-os a ficar separados, uma vez que se ele tiver alguma coisa com ela, ele vai basicamente atirar todo o seu esforço na recuperação pela janela fora. Já descobriste qual é a adição do Brady?. 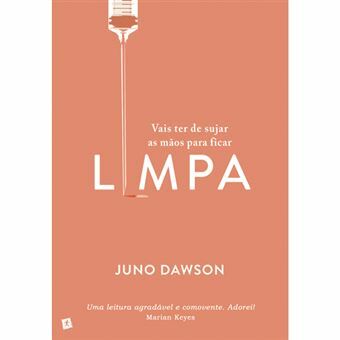 Honestamente, este é um livro espetacular não só sobre adições, mas também e principalmente, acerca de medos, inseguranças e auto-descoberta. O que eu mais gostei neste livro nem foi o romance, mas sim o percurso de Lexi. A forma como ela se apercebe do quão tóxica a vida dela era e o quanto a sua infância e família tiveram um grande impacto nisso sem ela se ter apercebido. Recomendo vivamente! A editora enviou-me uma cópia do livro em troca de uma opinião honesta.